1. I would like to offer my pranams at the Lotus Feet of my Beloved Spiritual Guru "Sathguru Shri Santhnanda Swamigal"
2. 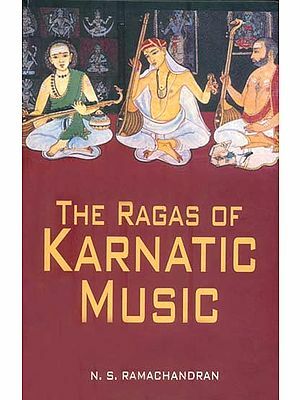 This book was originally written in Tamil and its transliteration and translation was done by us at the request of the Indian Music Publishing House, Chennai. 3. This Book for beginners in Tamil had 3 Volumes. 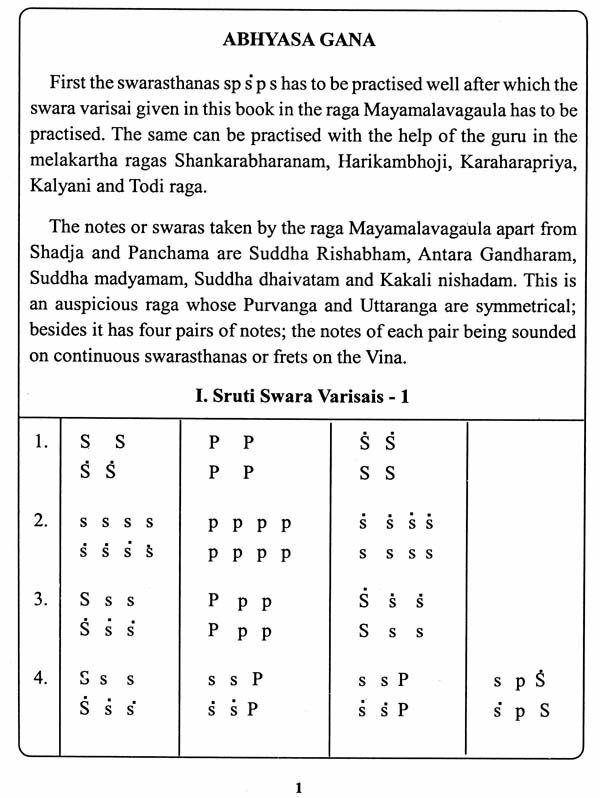 The 1st and 2nd volumes of the Tamil version are combined and are given as Vol 1 in English. 4. 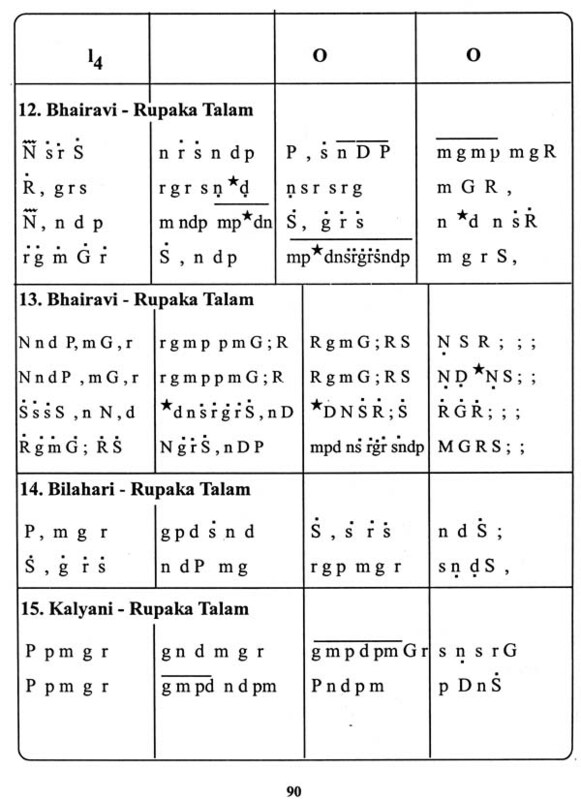 This book which is very useful for beginners commences with the Abyasam,Sarali Varisai, Hechchu Sthayi varisai, Mandara Sthayi varisai, Jantai varisai, Dhatu Varisai, Kala Pramana Varisais, Alankaram, Geetham, Jatiswaram, Swarajathi. Some notes on Theory of music have also been presented. 5. I thank my husband Sri.K. Muthuswamy and my daughters violinists Kalaimamani Dr.M. Lalitha (Fulbright Fellow, USA) and Kalaimamani M. Nandini (CWIT Fellow, UK) for assisting me in this work. 6. I thank the Indian Music Publishing House for entrusting this work on us. 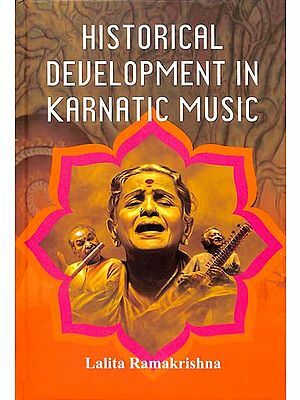 Subbulakshmi Muthuswamy is born to Prof. V. Lakshminarayana Iyer and Smt.L. Seethalakshmi and is trained in South Indian Classical Vocal and Violin by her father Shri V. Lakshminarayana. She also derived great inspiration from her mother Smt.L. Seethalakshmi who was both a Vocalist and a Vainika. Mrs. M. Subbulakshmi is a well known vocalist, violinist and music teacher who belongs to a great musical heritage. Being a child prodigy she started performing vocal duet concerts along with her sister from a very early age. Besides learning Vocal and Violin from her father Shri. 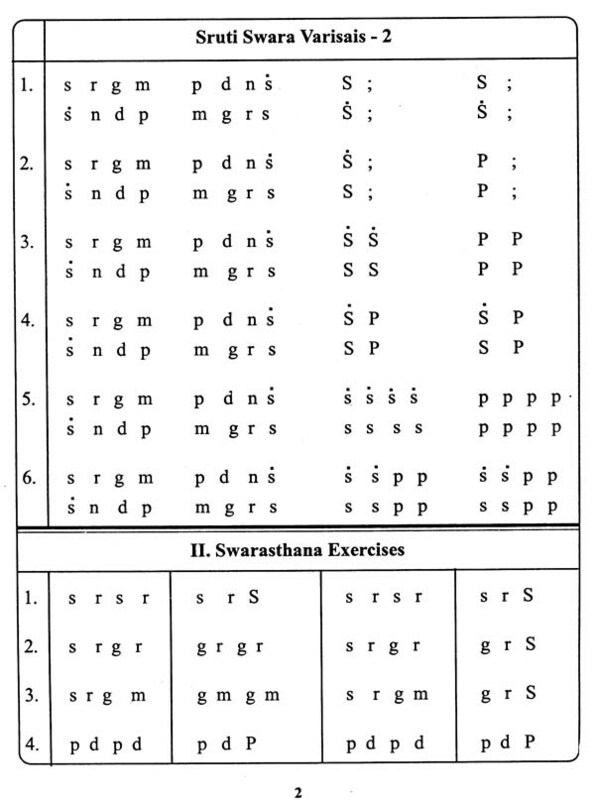 V. Lakshminarayana Iyer, she had also her Vocal training from Tiruparkadal Srinivasa Iyengar ( a disciple of Kanchipuram Sri Naina Pillai), Ramnad Krishan (her paternal uncle) and Sangita Pitamaha Semmangudi Srinivasa Iyer. 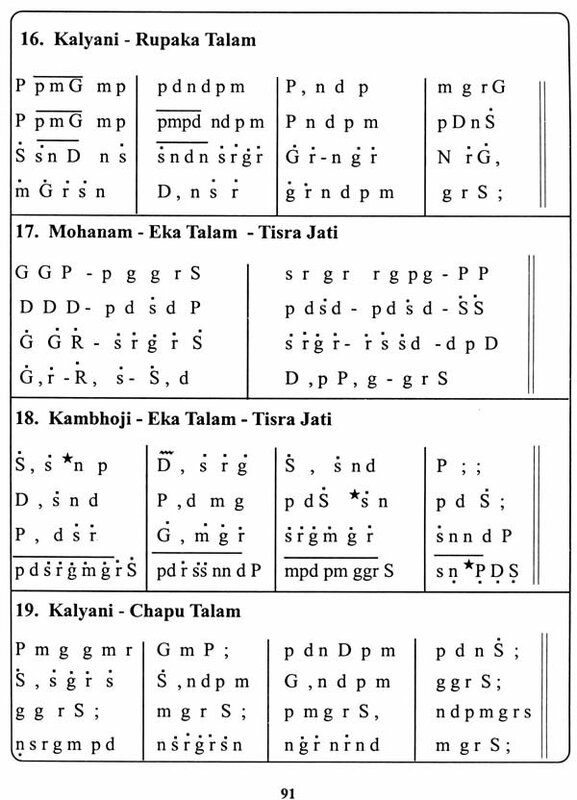 She also learnt music from Jayamma (daughter of Dhanamma). She is an 'A' grade artist of the Radio Ceylon and has lent her voice as a play back singer in a few films. She has given numerous concerts in many countries including Srilanka, Singapore, Malaysia, Australia, Nepal, India, London, US, South Africa, Mauritius and has performed in several Radio and Television networks, She has performed the Violin along with her brothers. Founder Director of Lakshminarayana School of Music in Chennai, She is a prominent Guru having trained numerous students including her daughters. Dr. M. Lalitha and Nandini Muthuswamy. She has composed music and set to tune some of the compositions for not only South Indian Classical but also for her daughters Trans Global Fusion. She conducts the recitals of her daughters and has been featured in many albums of her daughters. She was awarded the title of 'Sangeetha Kala Saraswathy' by Santhalaya an UK based Arts and Music Foundation for her contribution in the field of music. She along with her husband Sri. K. Muthuswamy have been doing yeomen service in the propagation of music and culture worldwide.